It's important for superheroes to have a cape while fighting crime. Without it, what would flow heroically in the breeze as they stand upon tall buildings? What would they use to make the cool wooshing noise as they leap to the rescue? And how would Batman use to really drive home his whole Bat-theme he has going on? A poncho might work, but we think it's best to leave that to all the cowboy types in the world (like Clint Eastwood). Yes, the cape is a necessary piece of superhero equipment and the Dark Knight's newest version comes from the Batman v Superman movie! If you plan on doing some crime fighting in Gotham City, or you just want to dress up like the DC superhero so you can refer to yourself as Bat-fleck, then you're going to need this handy accessory. 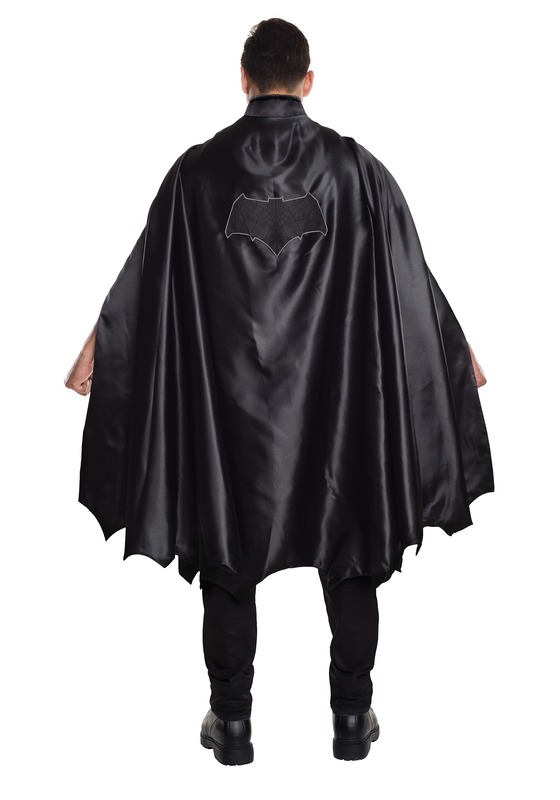 This Dawn of Justice Deluxe Batman Cape draws inspiration from the Frank Miller comic books, using his version of the Bat-symbol on the back. It's the best way to top of your iconic look from the film.